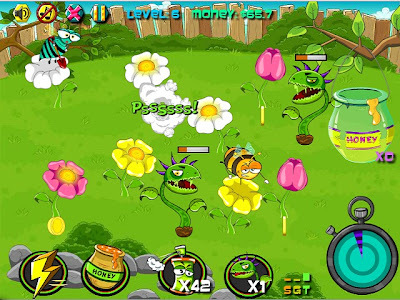 In this fun adventure game Bee Quick you are a little bee with the sole purpose of getting as much nectar out of the flowers as possible to make honey from it. Prevent the wasps from getting the honey to using all sort of weapons to deal with them. After each round you can trade honey for cash to buy weapons. Bee as fast as you can to get the highest score of all! Please check inside game instructions on how to play Bee Quick.